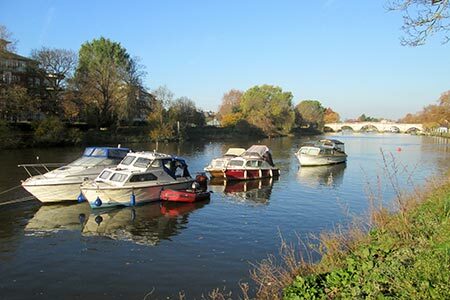 This circular walk from Richmond includes a section of the Thames Path and a circular route around the splendours of Richmond Park with its fine landscapes and herds of deer. The route starts from Richmond Tube station. A GPX File is available for download (see walk description).